WASHINGTON, Mar 30 2013 (IPS) - Costs to U.S. taxpayers of the wars in Iraq and Afghanistan will run between four and six trillion dollars, making them the most expensive conflicts in U.S. history, according to a new report by a prominent Harvard University researcher. While Washington has already spent close to two trillion dollars in direct costs related to its military campaigns in the two countries, that total “represents only a fraction of the total war costs”, according to the report by former Bill Clinton administration official Linda Bilmes. “The single largest accrued liability of the wars in Iraq and Afghanistan is the cost of providing medical care and disability benefits to war veterans,” she wrote in the 21-page report, ‘The Financial Legacy of Iraq and Afghanistan: How Wartime Spending Decisions Will Constrain Future National Security Budgets’. So far, Washington has paid some 260 billion dollars in interest charged on war-related borrowing, but the “potential interest cost of the U.S. war debt reaches into the trillions,” according to the report. The report comes at a key moment, as Republicans in Congress appear increasingly split between defence hawks on the one hand, who want to maintain or increase Pentagon spending and have been pushing for a more aggressive U.S. role in the Syrian civil war, among other hotspots, and deficit hawks, on the other, who believe the country can ill afford bigger military budgets, let alone new foreign military adventures, especially in the Middle East. The defence hawks, consisting primarily of neo-conservatives and aggressive nationalists who led the march to war in Iraq 10 years ago, are particularly worried about the impact on the military of the so-called “sequester”, which requires across-the-board cuts by the Pentagon totalling 500 million dollars over 10 years, in order to help reduce the deficit. But this report – as well as another put out by Brown University on the tenth anniversary of the Iraq invasion that estimated the total war costs at three trillion dollars – are likely to bolster the deficit hawks among Republicans, as well as foreign-policy realists most closely identified with the administration of President George H.W. Bush, and most Democrats, including President Barack Obama and his closest aides. After researching federal records, it reported last week that compensation for World War II veterans and their families only reached a high in 1991 – 46 years after the war ended. The report argued that dramatic increase in war-related costs means taxpayers will not get the kind of “peace dividend” that they received after other wars, including the two world wars and the Cold War after the collapse of the Soviet Union. The Pentagon and other national-security agencies, according to the report, will likely face more – rather than less – pressure to cut costs. To Miriam Pemberton, a national-security analyst at the Institute for Policy Studies, the new study should prompt a major re-assessment of the regular military budget (not including the costs of the Iraq and Afghanistan wars), which grew by nearly 50 percent in real terms to more than half a trillion dollars – over the decade that followed 9/11. I think it safe to say that most adult Americans can look at this staggering figure of 4 to 6 trillion dollars as being equal to half of our national debt of some 13 trillion. dollars. There is no way that the US can ever recoup this loss and certainly we didn’t expect to receive monetary compensation before commiting to helping both Iraq and Afghanistan. What should have happened is that we go to Iraq and rid the country of Sadaam Hussein, and get out of there. That is all that citizens in Iraq were asking. 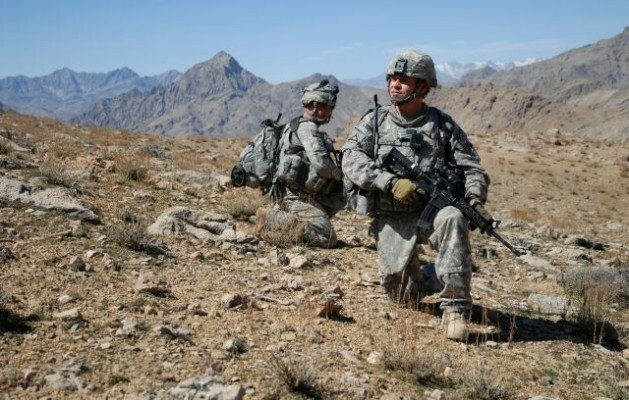 As for Afghanistan, we should have looked at what Russia went through when they had troops there, and realized that we could not win over the Taliban. We don’t have a real true “winning war” history in the US, going back to our country’s inception as America. America cannot even hold its own right now financially due to congressional disagreeance, presidential mistakes in decision-making, and promising funds to other nations when the American unemployment rate is low, prices high, and no real positive growth to lower inflation in spending which would enable Americans to spend, thereby raising our standard of living. I give President credit for what he is trying to accomplish, but his goals aren’t reasonable in terms of expectations for Americans in our country.